Uniregistry.com registered back in 2006, original trademark application in 2010. 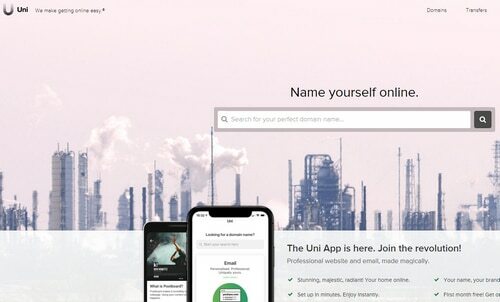 Last month Uniregistry Corp., Frank Schilling’s new top level domain venture, filed trademark applications for the mark “Uniregistry” as well as its stylized “U” logo. But this isn’t the first time the company has applied for a trademark. Back in 2010 the corporation filed an intent to use application on “Uniregistry” using its Cayman address. So Schilling has been working on Uniregistry since at least 2010, which shouldn’t come as any surprise. But plans for Uniregistry stretch back further than that. Bret Fausett, one of the attorneys and new TLD specialists working with Uniregistry, registered Uniregistry.com back in 2006. He then registered the .net, .org, .info, and .biz versions the following year. I’m not sure if Fausett was working with Schilling at the time, or if he later provided the name for the registry. But either way, it’s fair to say the genesis of Uniregistry dates back six years. Like many other applicants, Uniregistry has been waiting patiently for its chance to acquire top level domains.